I read recently that 97% of self-employed people rely on contacts and referrals that they generate through networking. So, when done well, networking can bring tremendous benefits to the small business and sole trader. Understanding what networking is all about is key – the somewhat formal description is that it describes the reciprocal process of exchanging leads, recommendations and other information, through groups of established relationships, with the aim of making business processes easier and more profitable. These days, we can achieve positive networking outcomes online as well as face to face – using social media platforms and being an active participant in a Group can also result in another strand of followers and believers in your brand. Networking for business is about exploiting friendships, social settings, business gatherings – any circumstance that brings people together – to sell yourself (because people buy people) and as a result of this, sell your products and services. If you are going to network, you need to understand the benefits. Identify what you want to gain from the process. Is it to generate sales, raise your company’s profile to a wider audience or gain information and support? During the leaner times in a business, you may be glad of your support network to carry you through and keep you motivated. Networking can be relatively inexpensive, depending on which ones you choose and if cash is tight you are at least continuing to promote your company – and on a very personal level. 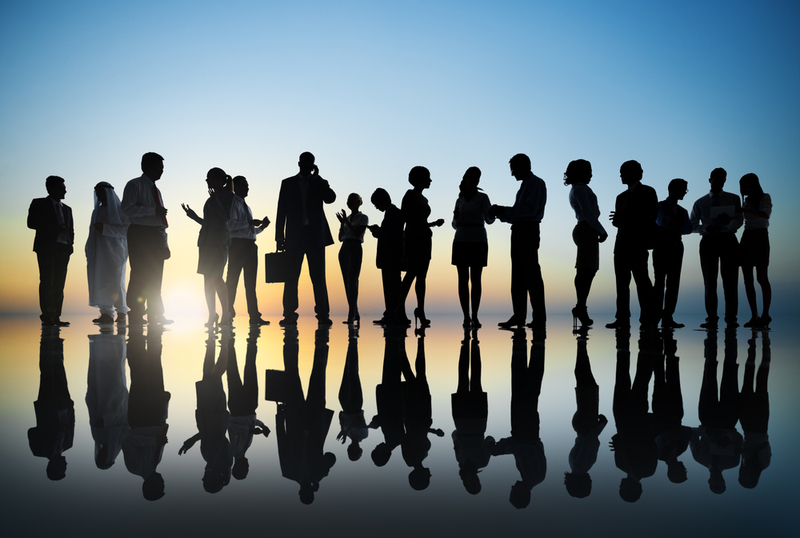 Starting business networking can be daunting. At all times keep in your mind’s eye that your aim is to attract the maximum attention in the most profitable location. If you get the opportunity to speak at an event, make sure you are well prepared and try to keep the nerves at bay. The one-to-many approach is the most cost effective and efficient way to get across your message – without the hard sell. Remember, you are establishing new contacts and you want them to engage and be engaged with you and your business. List all the networks that you are already part of – this could be inside or outside of your family and friends, every acquaintance. Include co-workers and bosses, past and present, people who you share your time with day to day/week to week. These are your primary contacts. Don’t forget those people who are part of your online network and may already be in your Primary contacts. If you are not ‘Linked In’ with them professionally, make sure you are and the same goes for Twitter and Facebook. Then identify your secondary contacts. Those people beyond work and family i.e. friends of friends, family friends and acquaintances of colleagues that might be able to put you in touch with a wider circle. Social networking platforms are a perfect way of communicating your products and services, and the face to face networking enables you to create strong relationships, engender trust etc. Whoever you contact and however you contact them, always make sure you have a plan to follow things up. Make sure you allow yourself time to network. It may not be expensive to network, but it can be time-hungry. Try to identify the most appropriate networks for you, as quickly as possible. It is trial and error, but you will soon weed out those that are not beneficial. Research and find out how often they meet, how many members they have, is there a directory of members (The Chamber will have one), do they run events and can you attend as a guest first. Some networks look for sponsorship which is a great way to get your business name and brand in the minds of delegates as is having that ‘guest speaker’ slot. Develop an elevator pitch – most usually up to 1 minute – explaining your offer, benefits. Make it memorable and you will be remembered! Avoid the hard sell – unless that is the purpose of the event. Make referrals and share. Demonstrate ‘active listening’ – keep an open pose, make eye contact, don’t interrupt or contradict. Develop techniques to remember names. Always keep a subject in your armoury should you need to make ‘small talk’. It helps to make connections and avoids awkward silences. Ask questions – it helps to make the conversation flow and provide you with valuable information about that person. Set yourself some goals – it may be as simple as talking to a certain number of people at the event. This will make you keep introductions and discussions limited, and maximise your efforts on the day. Where you met and if you were introduced by someone else. Potential for business – are they a decision maker, influencer, or a bridge to form other opportunities? Any personal details you can gather. The type of character of the person – warm, witty, quiet/shy etc. Any links and mutual acquaintances you may have. Regularly measure your success – are you getting appointments? If not, you need analyse the reasons behind this. It could be that you are not attending the right events, or that you are expecting the results to come through much more quickly. Your new contacts may have been confused by your offer, so consider going back to them to ask whether they have any questions – it could be something as simple as that! Good luck with your networking. Maybe we’ll meet at one of the many events! We are considering an on-line networking group / forum / portal for Nwes clients, old and new. Do you think this would be a useful service? Please use the link at the top to leave comments, thoughts and ideas, all of which are appreciated, thank you.